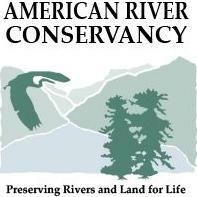 For more than 25 years, the American River Conservancy (ARC) has been preserving rivers and land for life. As a non-profit community organization in the central Sierra Nevada foothills, we work to preserve natural areas and cultural resources and build an enduring ethic of care, building a sustainable future for humans in harmony with nature. We purchase or accept land and conservation easements from willing landowners and actively partner with governmental agencies, private donors, and foundations to acquire funding and to transfer these lands into the public domain. If you enjoy exploring and learning about our local ecology, engaging in citizen science and sharing your knowledge with others, this program is for you! The 40 hour course combines a science curriculum with guest lecturers, field trips and project-based learning to explore the unique ecology and natural history of the Sierra Foothills. Evening classes will be held at the American River Nature Center in Coloma and field days will be held at American River Conservancy property near Coloma, Pilot Hill and in the Upper Cosumnes River watershed. Geared towards adults ages 18+. Local guest experts will attend classroom sessions and field trips. Students must purchase The California Naturalist Handbook (2013, UC Press). Four UC academic credits available from UC Davis Extension upon course completion for an additional fee of $85. Lead course instructors: Elena DeLacy has worked with ARC since 2003. She is the Conservation and Stewardship Project Manager at American River Conservancy. She holds a Bachelor of Science in Environmental Biology and Management from UC Davis. Her passion for the environment was sparked at an early age, with yearly family vacations to several State and National Parks. Trevor Whiffen, PhD, graduated from the University of Cambridge and was a postgraduate at the New York Botanical Garden and the University of Texas at Austin. He retired in May 2008 after 36 years of research and teaching in plant systematics in the Department of Botany, LaTrobe University. Dates & Times: February 21 - May 9, 2019 Thursday evenings from 6:00-8:30pm. Evening classes meet at the American River Conservancy’s Nature Center at 348 Highway 49, Coloma, CA 95613, unless otherwise noted. Several Saturday field trips, 9AM-2PM TBA. Registration: Registration opens November 1st. Click here to register. Please contact Dillon Brook at (530) 621-1224 or dillon@arconservancy.org for more information and to inquire about the limited number of need-based scholarships.